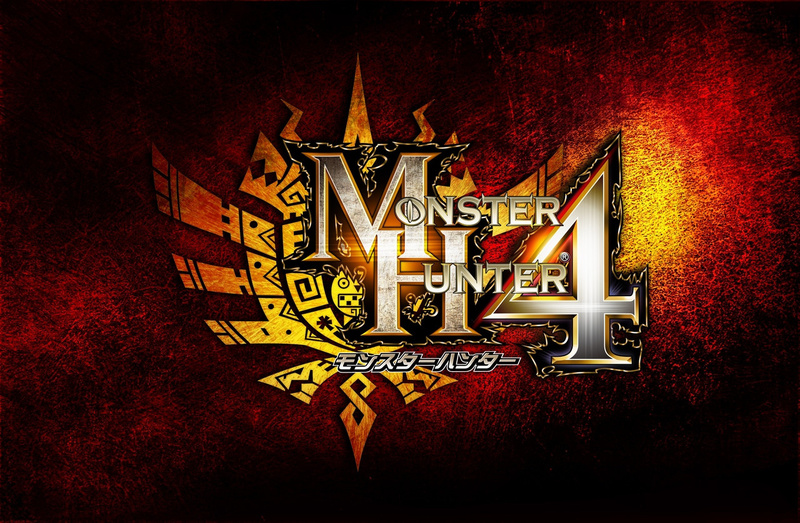 Capcom has released a new trailer for the forthcoming 3DS title Monster Hunter 4, and it's predictably packed with foul beasts, stunning landscapes and - surprisingly - what appears to be a cooking cat. The game hits Japan later this year, following the delay of its proposed March release. Western players will get their chance to experience the prequel - Monster Hunter 3: Ultimate - on 3DS and Wii U in March. I guess I'll see it in the morning. The textures look breathtakingly awfull..I'm glad they postponed it. Good to see the cooking cat changed it's frying pan for a wok. Healthy choice cooking cat! It looks fun. I'd imagine it looks quite bright on the 3DS screen. The new weapons look intriguing and the spider monster looks like fun. I wonder if there is a European release planned and if it will handle online play though? @Sjoerd That might be at least in part due to being plain footage of a 3D game, I've noticed games like Tales of the Abyss having similar issues in screen-shots. Being not quite finished plays a part too obviously, they're probably waiting until everything is settled so they don't have to waste time re-doing things. Looks really good so far, the only thing that kinda bugs me is seeing MH4 footage while we haven't even got MH3U yet. Biggest problem of 3DS advertising is any footage or screenshots don't do the actual game any honors. That's why I like footage that is captured off-screen, cause you get a better sense on how it looks on the 3DS. But in the end, especially for the 3D, you have to experience it on the 3DS and that proved to be quite a marketing challenge for Nintendo. ...didnt we already see this? only difference is the last 10 seconds. This game still looks terrible visually imo. Not the monsters, they look fine, but the scenery and everything in the levels. I really don't know what the hell the artists were thinking with those textures but they just look BAD. Garish, blurry, stretched, low-res. If they just fixed the textures in the world, at least making them look as good as previous entries in the series, this game might actually look decent. I must be blind because it looked very nice to me. I was watching on my Wii U gamepad though which is more in line with what the game will look like on the 3DS. The smoothing filter used in the video is really something else. Then again there's really no excuse for the hideous aliasing present in every 3D 3DS game. Although I would have preferred this on a console, this does look very good. Looks great! Hope this one also gets a western release. How in the world did this land on the 3ds. Did they know it would be this successful in Japan or something lol! Anywho does this look good or what. Is that really the 3ds its running on?!?! I can't believe it will only release on the 3ds though. Will we need the CPP to play this on 3DS??? Just imagine this game on wii u.
I don't know about 3 Ultimate, since I bought Tri for the Wii... but I couldn't not pick this one up if it comes West! It looks really good. I like the visuals, feels like skyward sword. it might be weird, but i shrink my web browser until the video is the relative size of the 3ds screen, then i watch it. I feel like it gives me a more realistic comparison of the graphics, this game looks awesome. Still has a choppy framerate but it looks hella fun. Monster Hunter games look so cool, but I admit I wish there was a casual mode. I played Tri and enjoyed it until it started to feel more like a chore than a game. granted, I've never played multiplayer, so I can't comment on that. As always, though, the designs look great. I look forward to some new Monster Hunter artbooks. Love the design art. "and - not surprisingly - what appears to be a cooking Felyne"
Fixed. Since when have Felyne chefs ever been a surprise in the series? In both Freedom and Freedom Unite, Felynes cooked you food in the kitchen of your house before you went out to fight. In Tri the village chef was a Felyne. In Portable 3rd, although there was no food, the drinks that replaced them were purchased from, again, a Felyne. Felynes could also cook ten stakes at once on a giant spit in that game. Basically, if it's some sort of consumable that provides buffs and temporary skills before combat, it's probably cooked by a Felyne. Er, unless they added in a few seconds new footage, this is a VERY OLD TRAILER. It might have been the TGS 2012 trailer. Nothing new sadly. Loving the lighting and shaders they added to the series though. Textures may be meh (some of it's better in some parts, but hey they have extra time now to make the ugly ones better), but the game looks better overall because of more advanced effects. Models are looking nice as well. And once again, old trailer being rereleased. The last 10 seconds is old as well. They may have added a little more Rathian to the trailer though. Will MH4 support wi-fi online coop? Too bad the 3DS is such a failure. This might have sold a few dozen units. Oh well... can't wait for Mario games on my iPhone6! With as many people that have a 3DS now, I'm sure plenty of people will buy this in Japan, and MAYBE bring it other places if we buy MH3U. Who knows, maybe they'll bring it to the 'dreaded' eShop for easy localization sooner than later this time... Haha. As for people thinking it looks horrible: It's on a blown up screen, with no 3D, not in your hands, and it's on 3DS. 3DS doesn't have the best graphics, but I'm sure it will look awesome when you actaully have it in you hands and see it in person. Looks awesome. But I hope the colours aren't that over-saturated in-game. Not that I have a problem with colourful games. But that desert is waaay too yellow. The staff/gun thing looks baddonkey . I know the trendy thing now is to hate Capcom but the more Monster Hunter localized, the better. Wow. You really are bothered by that, aren't ya? They do realize this video came out in September, right?